This is what ‘you’ say about yourself. It refers to what you distribute on your site and what issues you think you have authority on. This is what ‘they’ say about you. For example, if a reputable and established source like Forbes or Huffingpost, link to your site as an authority, Google’s algorithm will give you credit for that. Off-site SEO carries the most weight in a search. It makes perfect sense when you think it through. Reputable sources vouching for your authority on a subject mean far more than you vouching for yourself. SEO should be a factor in determining your content. In order to make Google include your site as a top result, your SEO should be based on the keywords you are shooting for in your niche or market. I recently stumbled upon a site that really laid out the benefits of having your contents included in search engine results. One Houston SEO Expert explained that it is essential to know what people really want and what they search on the web. The expert also said you are missing out on a great deal of money and business by not being on Google and other top search engines. Essentially, if your brand is not rating as a top result, prospects probably aren’t going to find you. When Does Google’s Algorithm Change? Google usually updates its algorithm annually. Historically this has been in order to penalize content owners or marketers who have attempted to outsmart the formula with spammy, black-hat techniques. More recent updates have been to simply return better results for quality content. SEO is the most important part of internet marketing. Whether you have a blog, a business website, or an e-Commerce store, SEO is equally important to promoting it on the internet. If you have just created a website or blog and want to do its SEO on your own, then this article is for you. 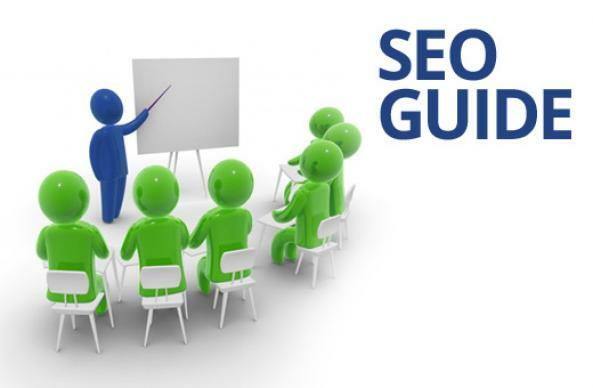 I am going to give a quick overview of how SEO works. The most important step of SEO is picking the right keyword for your campaign. This process is also called keyword research. Most of the success or failure of your campaign relies upon this keyword. Many people fail in their SEO when they try to rank with the wrong keyword. There is no “wrong” word to go with in keyword research. All words are rankable, it’s just that some keywords have higher competition and some have lower competition. So, a good strategy SEO experts use in their SEO campaigns is targeting low competition key word. This way they increase their site authority little by little. Once they have enough domain experts, they start targeting high competition keywords too. Onsite optimization is a very important part of any SEO campaign. Onsite optimization is basically about making an online page relevant to your targeted keyword. Yahoo, Bing, Baidu, Yandex or any other search engine always shows relevant pages only in its searches. So making your content relevant to your targeted keyword is important for a successful SEO campaign. As I said earlier, the most relevant aspect is the off-site optimization. This basically consists of making backlinks to a site on high domain authority sites. Backlinks are basically the main ranking indication which Google considers to position a website. A site with a higher number of backlinks ranks above than a site with low numbers of backlinks. There are many ways to generate backlinks of your website. To know more about backlink creation you can check with a good backlinks building guide. As SEO has its good side for the content owner, unfortunately, sometimes it goes wrong. You think, how will it go wrong? This can happen because you get over-aggressive with SEO tactics or because you violated the rules laid down by Google. When you think something is wrong with the ranking of your website, it is a good idea to solve the problem as fast you can to avoid your site being banned by Google. For this reason, you need to diagnose your issue. There are two major ways to learn you have a problem. The first is if you see a large drop in the organic search traffic to your site. The drop can be catastrophic in nature. It seriously affects your website to the extent that your contents can’t be shown when people search with your targeted keyword. The other way you might learn about a problem is if you get a message directly within Google Search Console telling you about it. If you haven’t signed up for Search Console, you should do that immediately. In fact, you need to stop reading this article now and go set it up.